Happy Friday Fashionistas, yesterday I attended Ladies Day at the Galway Races. Sadly the weather was worse than we could ever have imagined, there was even tornado warnings and it rained heavily for most of the day. 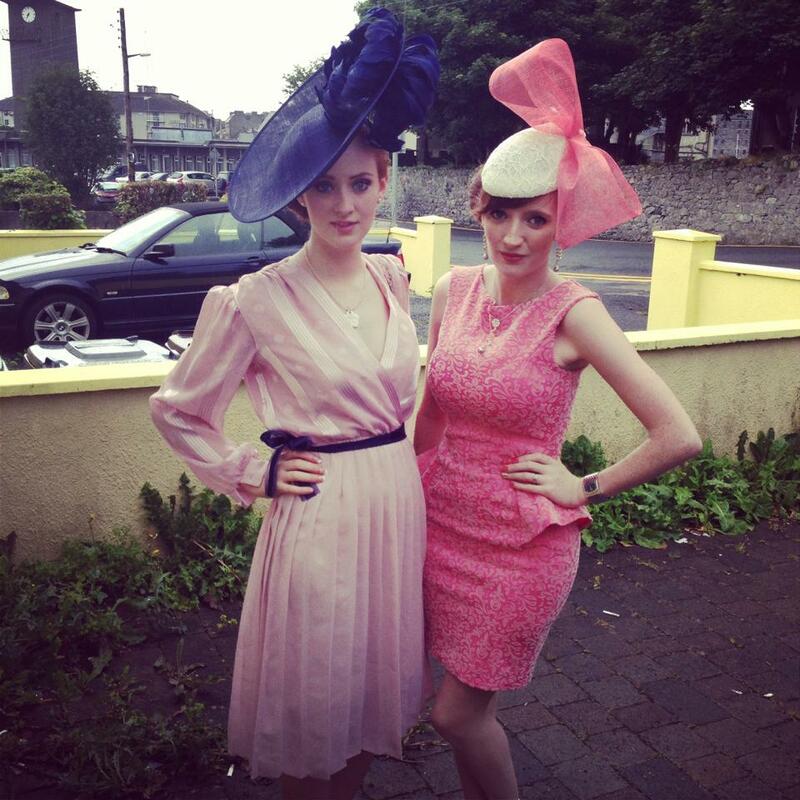 This did not stop the style at the races and us Galwegians did the fashion world proud. 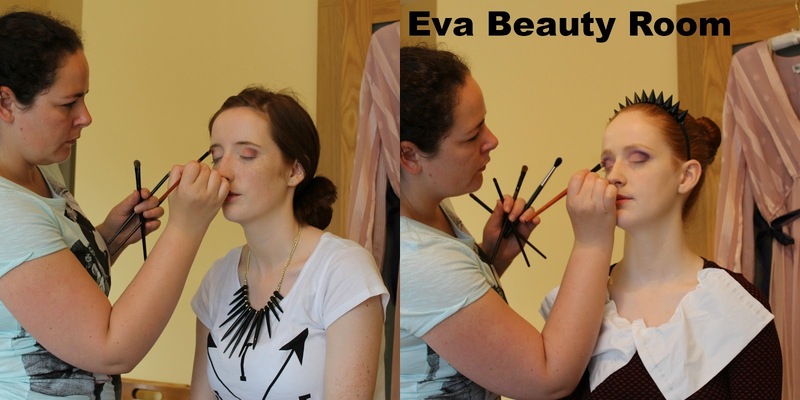 The day started bright and early with a trip to Eva Beauty Room to get my make-up done professionally for Ladies Day. My sister Stephanie (model) had worked with Ewa on photoshoots previously and highly recommended her. This was such a fun start to the day and really put us in the ‘Ladies Day’ mood. Ewa introduced me to some new products which I had not tried before including the Smashbox Photo Finish Primer which I really liked and some really good Polish products which are available in Ireland. She used coral and black colours on my eyes which really complemented my outfit and a gorgeous Avon lipstick in shade sparkling peach which she let me take with me for the day for top-ups! 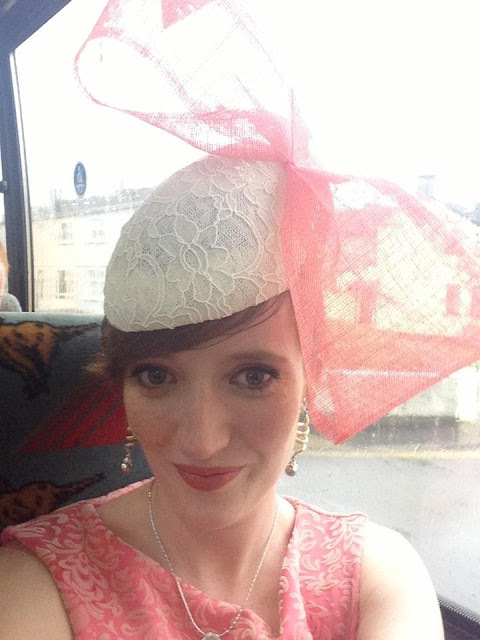 At the races itself it did nothing but pour rain all day but that did not stop us! 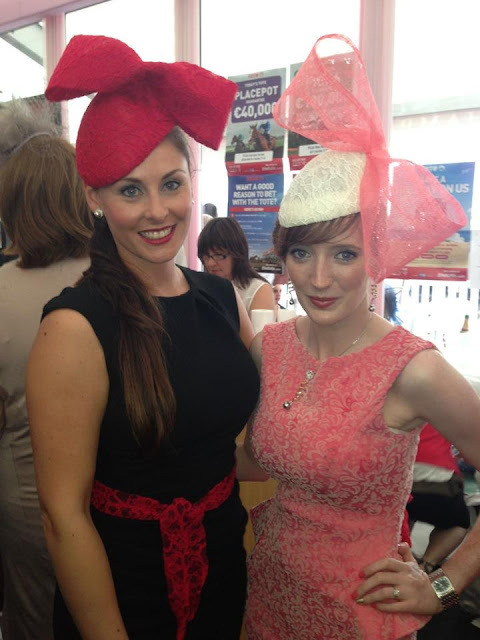 We popped into the champagne tent where I met the amazing milliner Mary White who designed my headpiece for Ladies Day. I absolutely love it and could not have even imagined a more ‘Bec Boop’ style head piece! Fashionista followers know I have a bow craze! 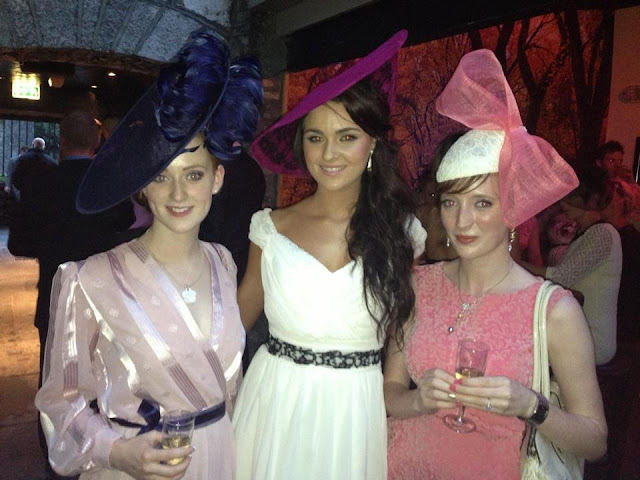 Take a look at Mary White Millinery website and browse through her gorgeous hats and headpieces. My Ladies Day outfit is a coral flocked peplum shift dress from Lipsy. I added some statement earrings and necklace which came as a set I received as a gift for my 21st birthday. I also wore white lace shoes from New Look. Stephanie wore a vintage dress which I thought looked absolutely stunning and she did some amazing styling with the outfit! We moved the celebrations on to the Radisson Galway which really is the only place to be for some Race Week partying and then continued to the newest venue in Galway – The Stock Exchange. 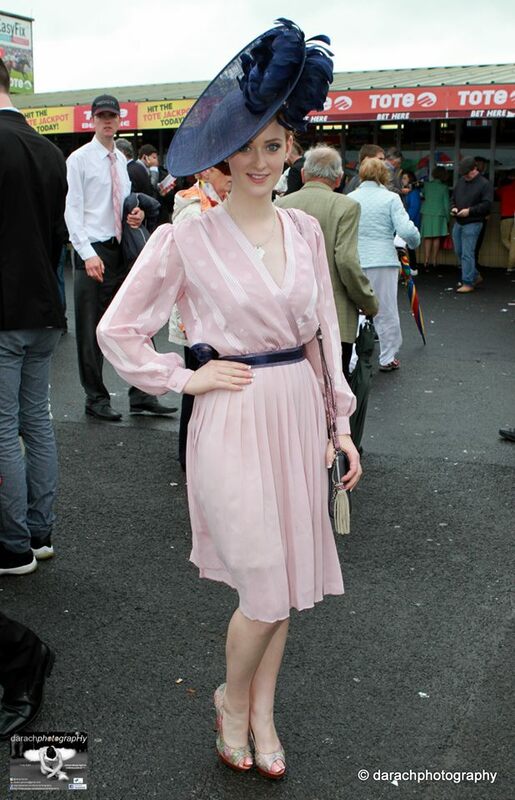 Here I met the lovely Miss Galway Laura Fox. 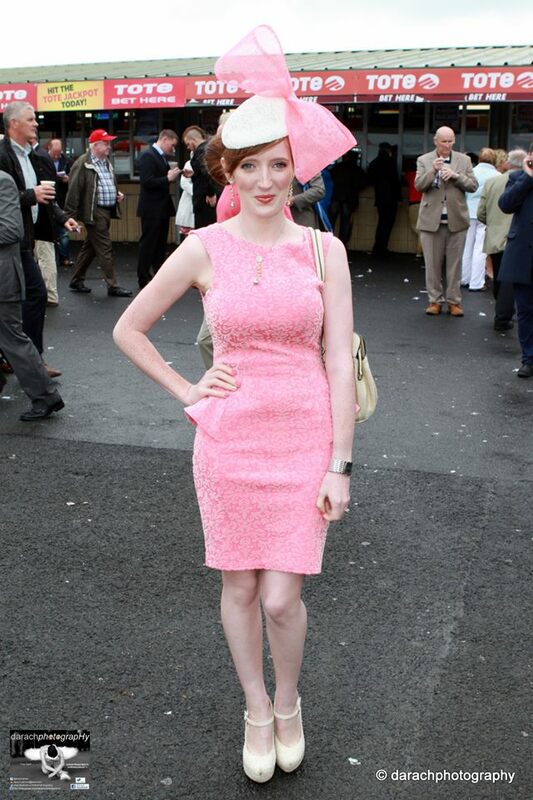 I was selected as a finalist in the Stock Exchange Best Dressed Lady competition which was very exciting! I am attending the races again today and look forward to sharing my last outfit with you tomorrow which is a monochrome look! Don’t forget to enter my facebook giveaway here. Those headpieces are so fab!